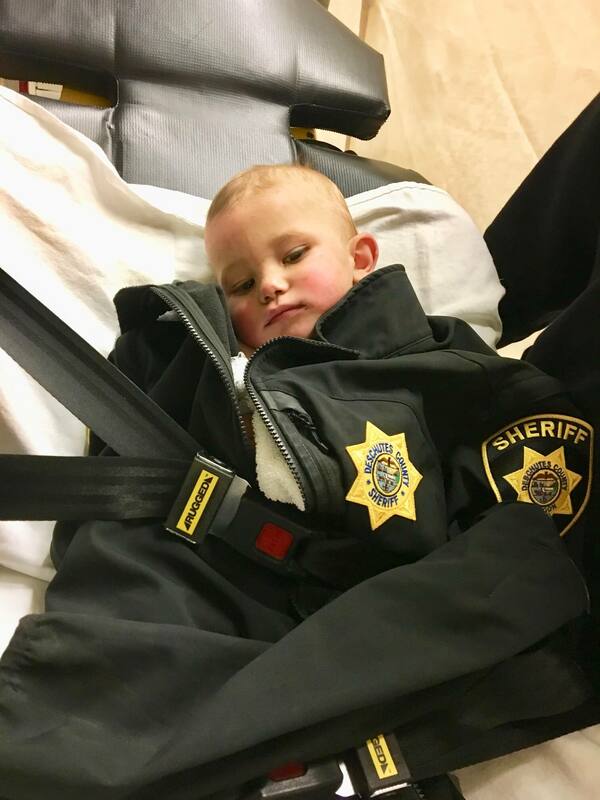 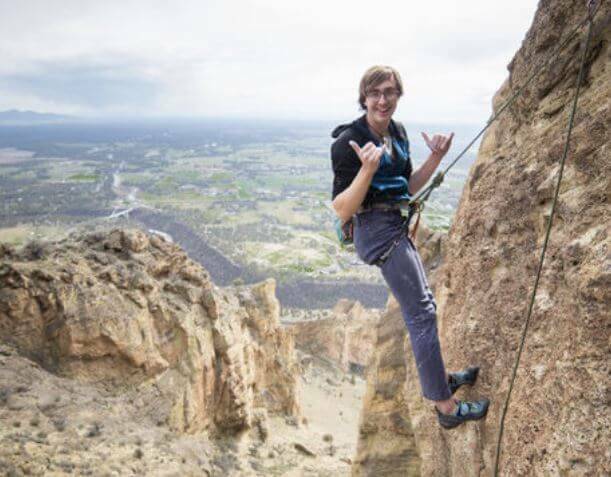 On 05/15/18, at about 2:26pm Joseph Henderson called 9-1-1 Dispatch, reporting he and his climbing partner, Simuel Dekalita, had become stuck on a rock ledge while attempting to climb Monkey Face at Smith Rock State Park. 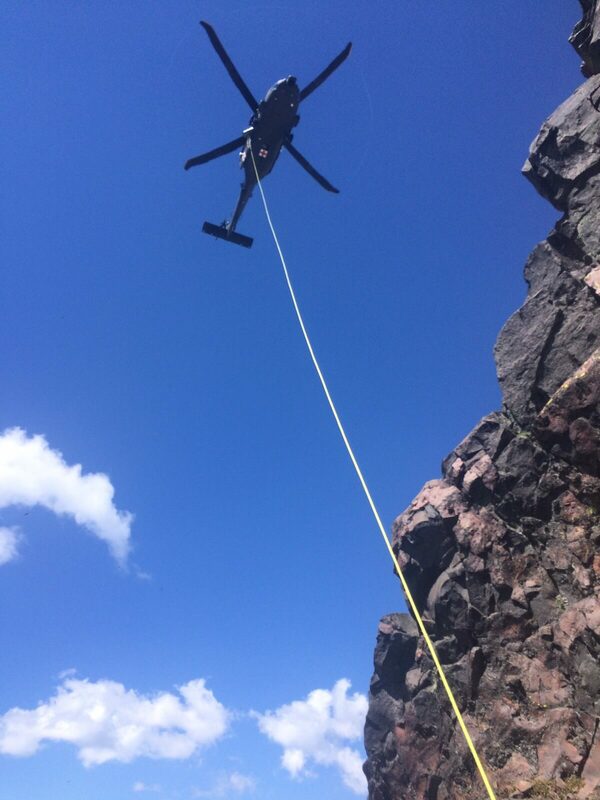 Henderson further reported he and his partner were safely attached to an anchor above the first pitch of the climb, but were unable to move further, due to their rope being stuck. 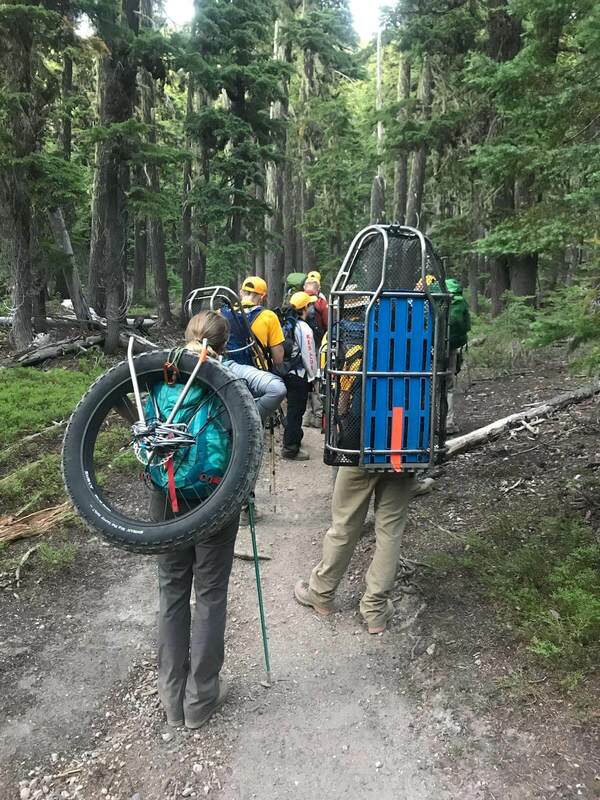 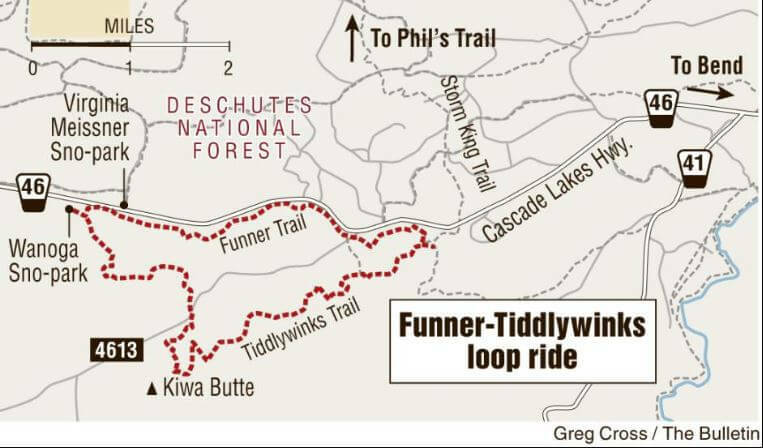 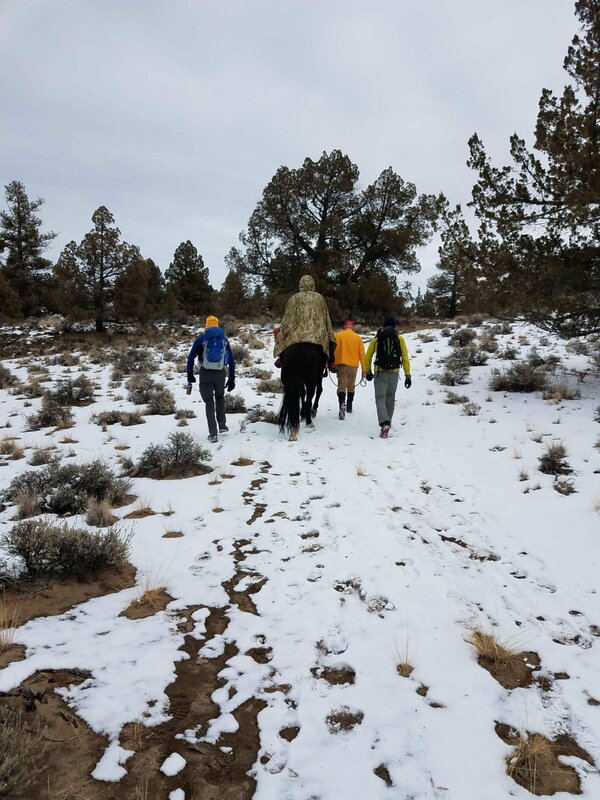 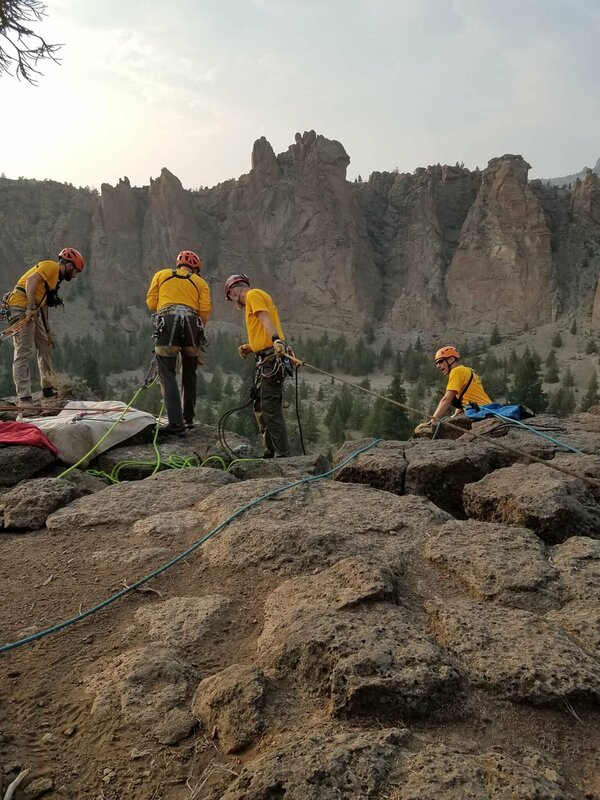 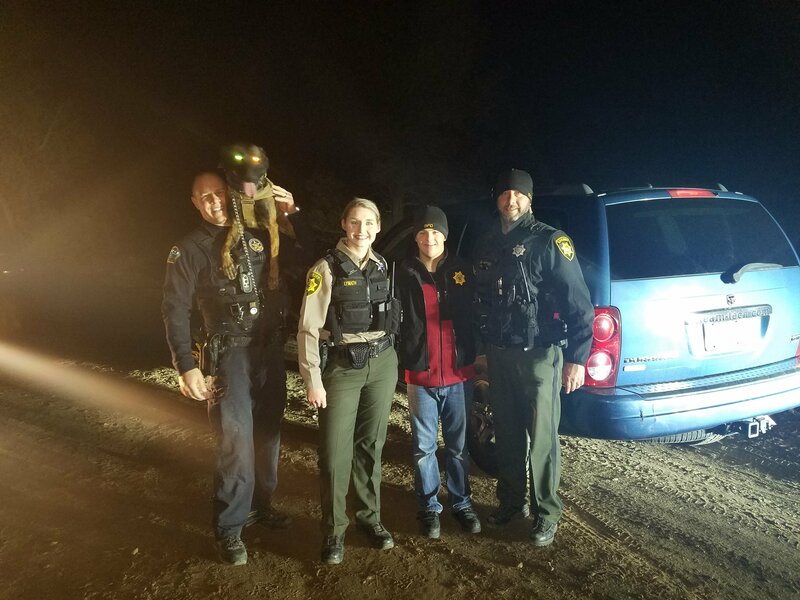 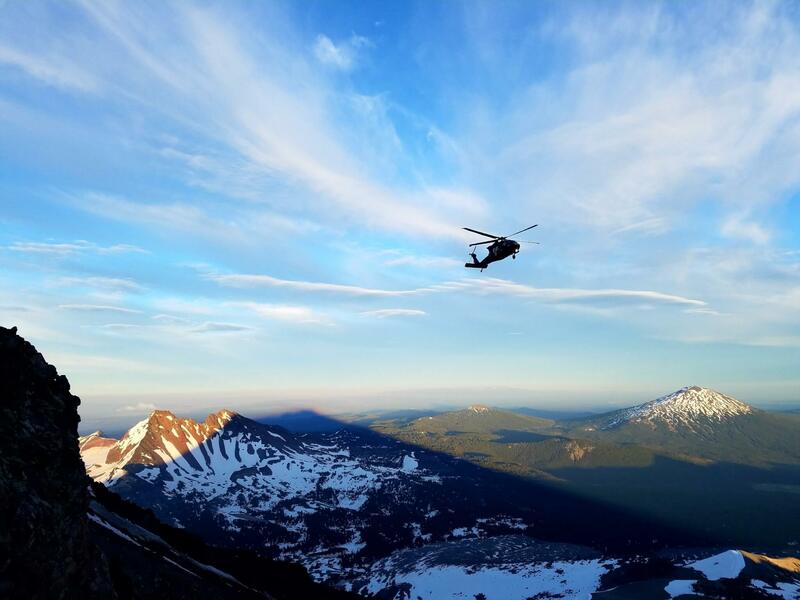 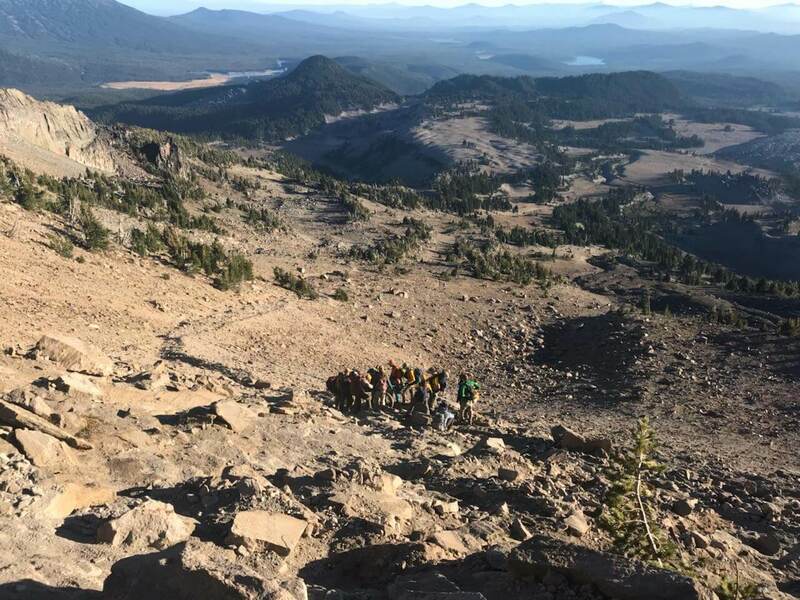 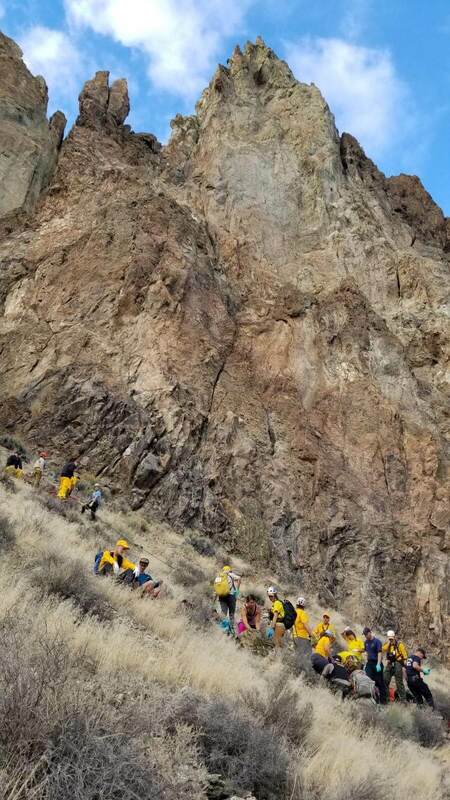 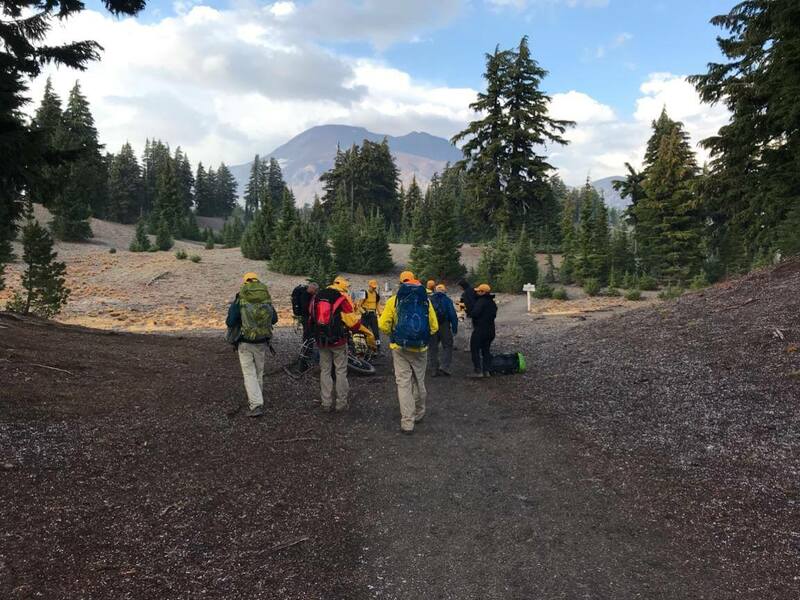 Nine Mountain Rescue Volunteers from the Deschutes County Sheriff‘s Office Search and Rescue Unit as well as one DCSO Deputy responded to Smith Rock State Park and hiked the Misery Ridge Trail, with additional ropes and rescue gear, to access an area above the climbers. 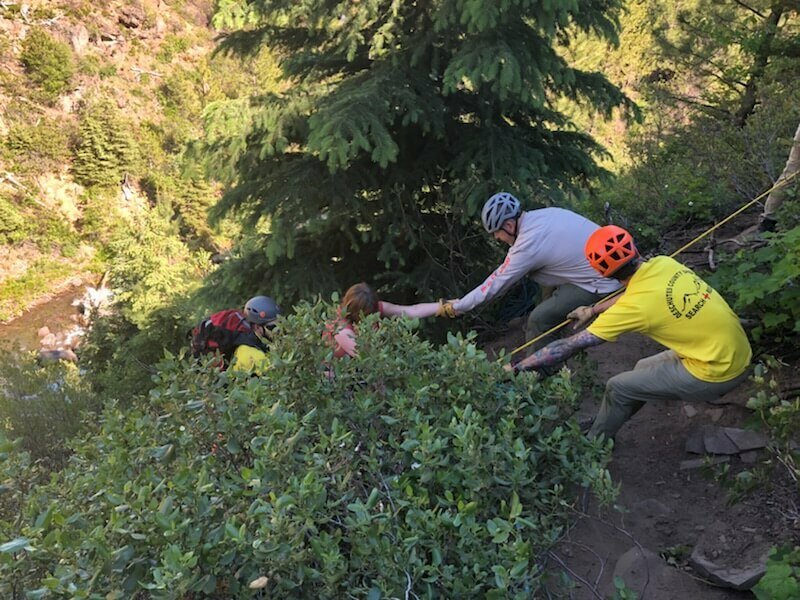 SAR Volunteers set up a rope system, enabling them to rappel down to the stuck climbers and eventually assisted the climbers to the ground. 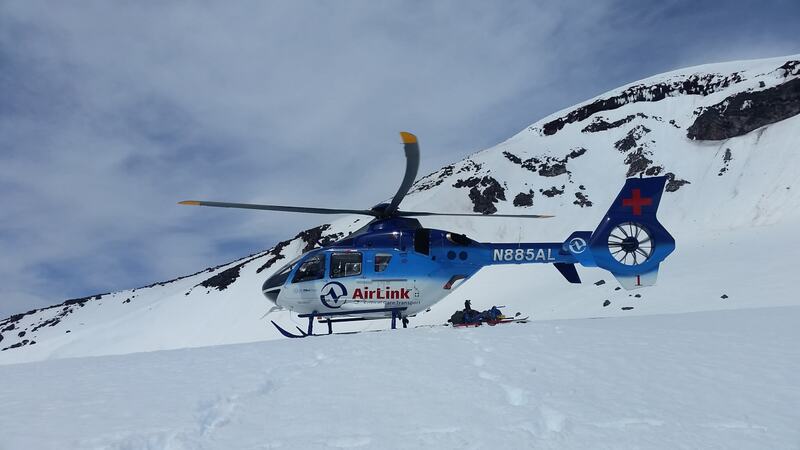 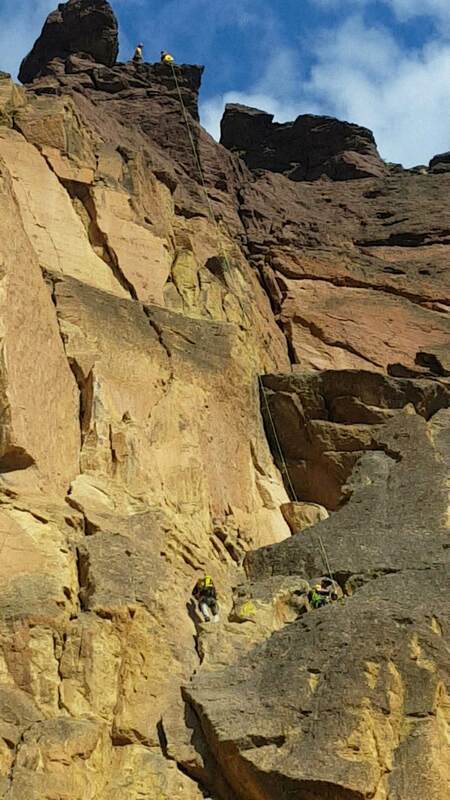 The rescued climbers were not injured and did not require medical attention. 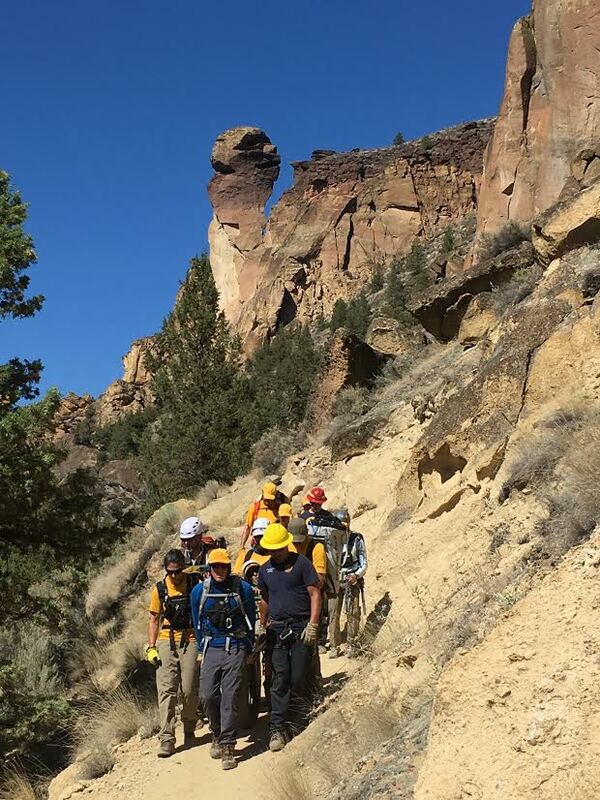 Smith Rock State Park and its surrounding area has nearly 2,000 different climbing routes with varying difficulties. 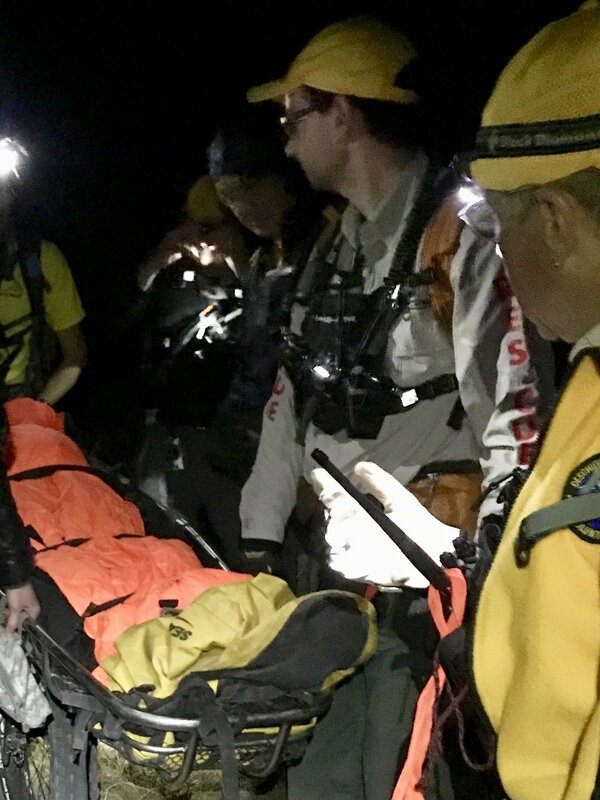 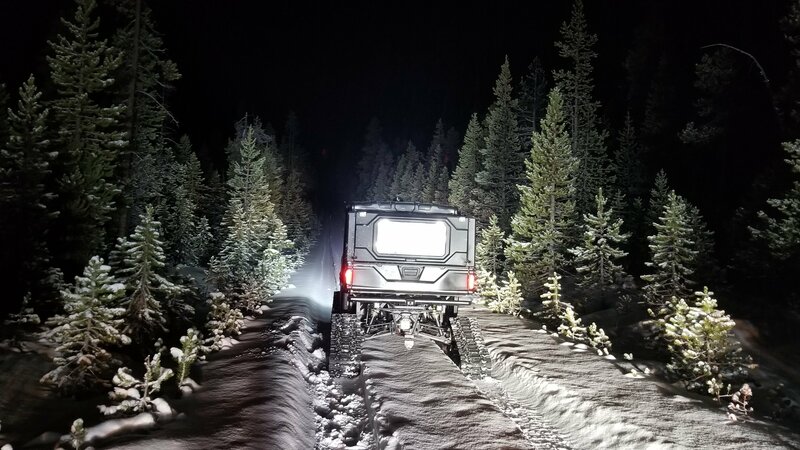 The rescued climbers were not familiar with the park or the route they intended to climb. 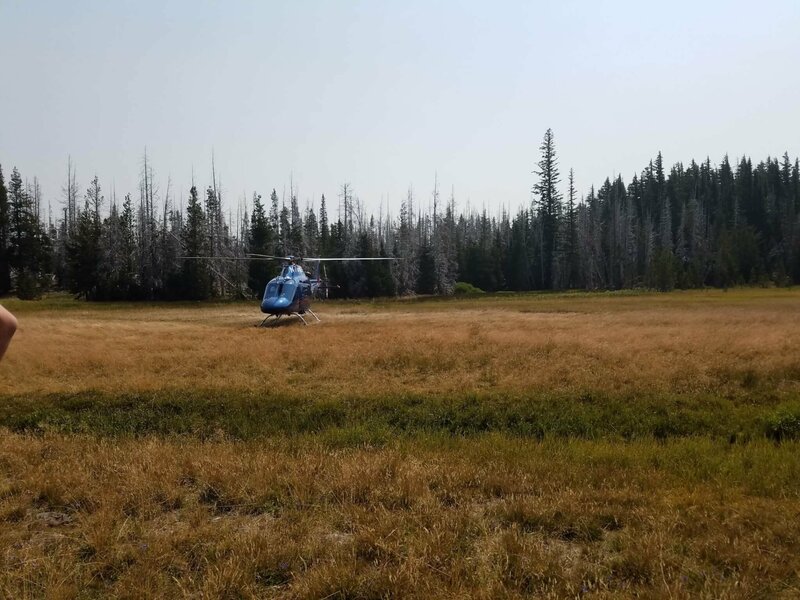 They also ran out of water and were extremely thirsty. 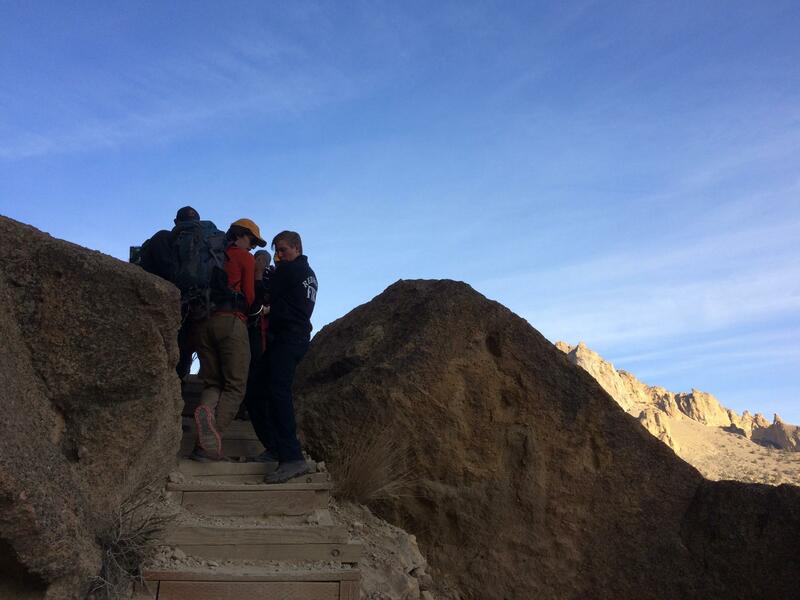 As we approach warm summer weather, taking along extra water no matter where you recreate is encouraged. 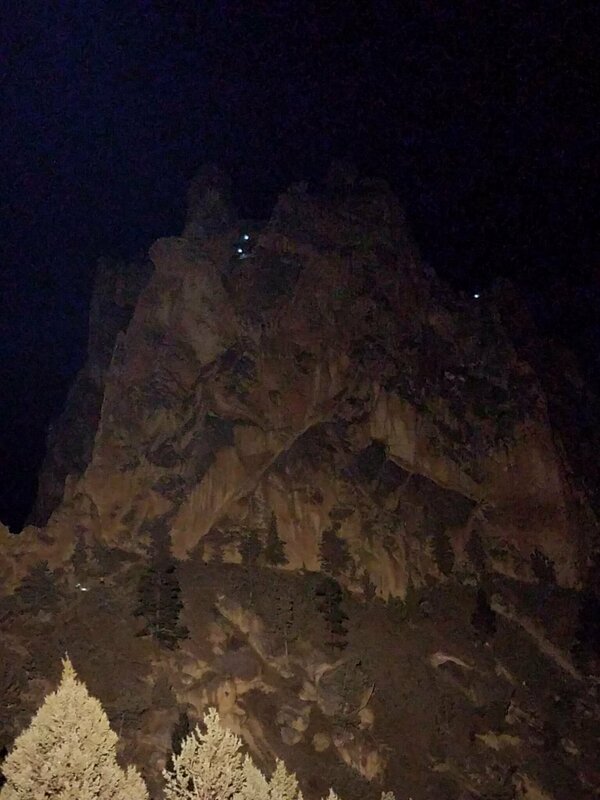 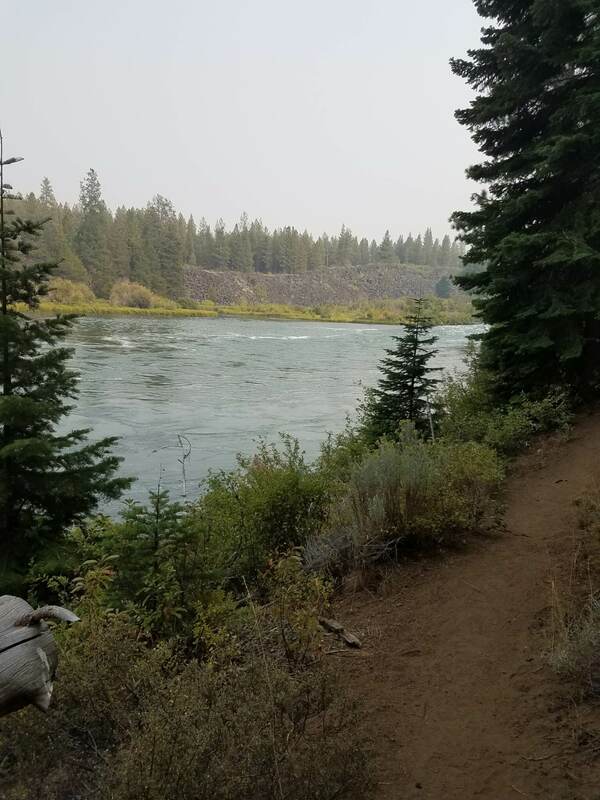 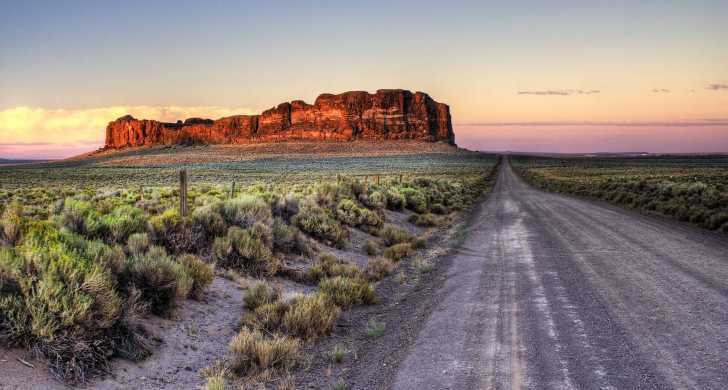 The Deschutes County Sheriff‘s Office strongly recommends that those who wish to climb at Smith Rock State Park, do so with experienced climbers who are familiar with the intended climbing routes.